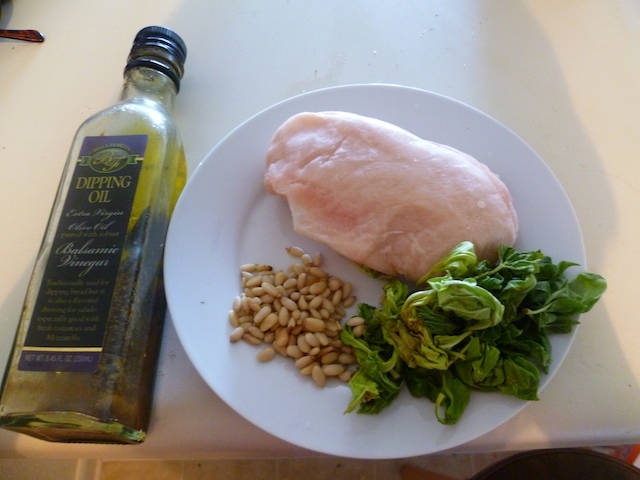 teaspoon of pine nuts (crushed). 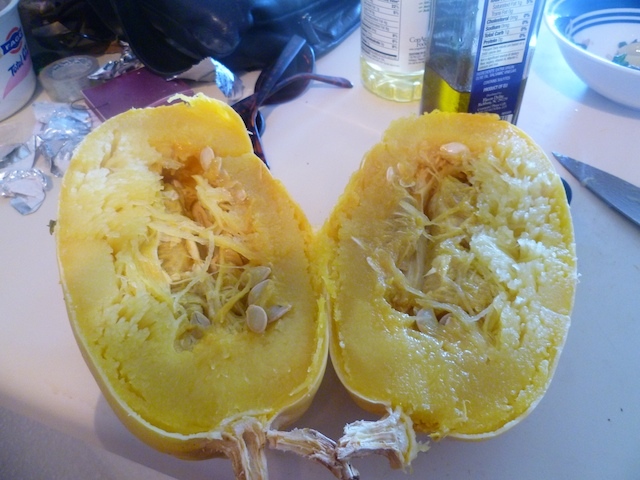 While it is steaming, cut the squash in half. Remove the seeds and icky flesh. Toss. 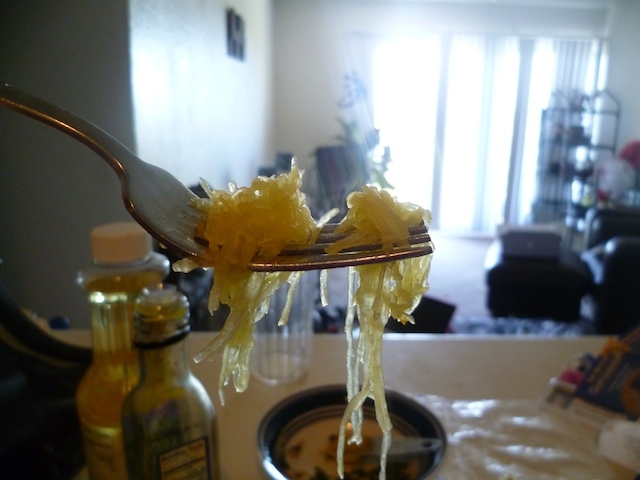 Toss the chicken in the basil-oil mix and put on the spaghetti squash strands. 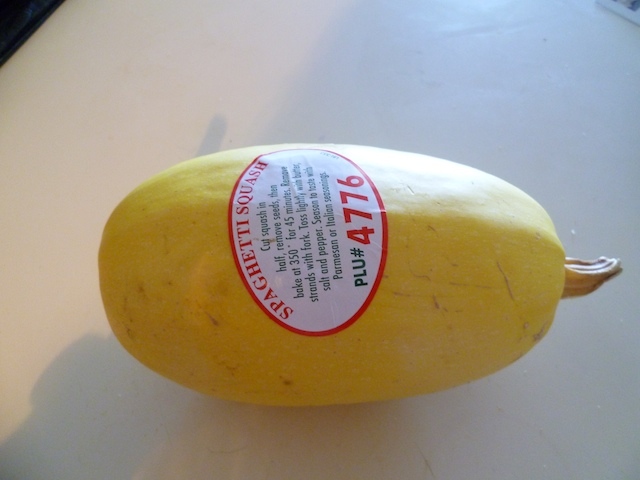 Suitable for Atkins phase 2, low calorie, low carbohydrate, low fat, Paleo / Primal. 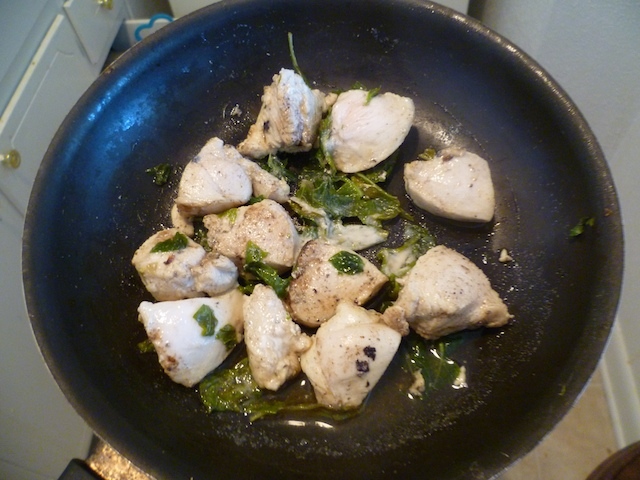 Adaptable for: South Beach: add a cup of mushrooms sauteed in garlic, and an extra teaspoon of olive oil to the basil-oil mix. 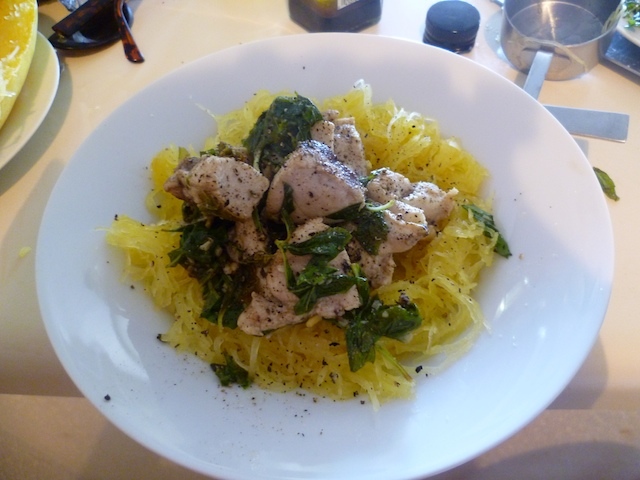 This entry was posted in Atkins, Food, Low carb, Low fat, Paleo, Recipes on September 6, 2010 by Me.